Pattinson Ladies: BD2 cast & crew talk about Rob at the LA press conference! 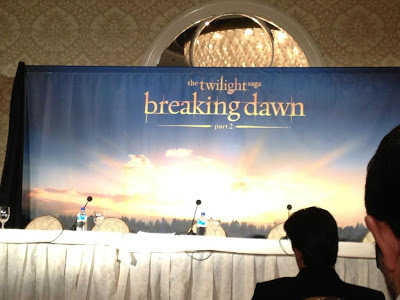 BD2 cast & crew talk about Rob at the LA press conference! Hypable: Q: What bonds have the three of you formed that 10, 20 years from now only you will understand? Hitfix: 12:58 p.m. Stewart's asked about the bonds between her and Rob and Taylor. "It's nice to not be alone in that, I guess," she says. "There are a lot of people who are exceeding famous, but we share the movies." "I wouldn't have done it in the first place unless it was something I was always going to carry and I think they feel the same way," she says. "There a lot of exceedingly famous people and they all get it," she closes. Hypable Q: Do you remember meeting Kristen and Rob, and what were your first impressions of them like? Taylor: I remember meeting Kristen for sure - it's so weird I don't even remember meeting Rob. It's so strange (laughter). I didn't have scenes with Rob in the first one. But Kristen, I showed up mid way through filming and only was needed for two or three scenes. I was barging into this new environment so I was newest and youngest. It was awkward when we first met each other. We were filming a scene on the beach, there was wind, I was wearing a nasty wig. It was very uncomfortable. But ever since then it's been great. Q: Can you talk about the bond you're going to share with Rob and Kristen no matter what happens in the future. How do you see the bond going forward? Taylor: That's the bigegst thing I've seen from this. We're so close right now, they're some of my best friends. That won't go away at all. It will be more difficult because we don't have the excuse of months and months on set. Our friendships will go on forever, and I find it so amazing that the cast got along so well. We're so thankful for that. We have a blast every time we film these movies, every time we promote them, it's a miracle. Hitfix 11:46 p.m. "I remember meeting Kristen for sure. It's so weird, I don't even remember meeting Rob," Lautner says of first impressions. He showed up midway through filming on the first movie and a family had already built up. "I was nervous. I was also the youngest. It was probably a little awkward when we first did meet each other," Lautner says, recalling his "nasty wig." 11:50 a.m. "That's the biggest thing I'll take from this is those relationships. We're so close right now. They're some of my best friends and that won't go away at all," Lautner says of his ties with Stewart and Pattinson. "Our friendships will go on forever. I find it so amazing that this cast meshed so well," he adds, calling both filming and promotion "a blast." @jtyboone: "We're so close. They're some of my best friends and that won't go away... Our friendships will go on forever." - Taylor on Kristen and Rob. Hypable: Q: Edward spends much of the series resisting turning Bella, but it seems like an awesome thing - living forever, super powers, even Jacob says it's a good thing by the end. WHAT are the downsides? Stephenie: Edward resists happiness a lot in the first three books. He's afraid he doesn't deserve it. He's not happy with it himself (being turned). Is he now a villain himself? In retrospect, they're perfectly happy. If he knew it would have gone so well he may've done it sooner. Q: What was the last day of shooting like? Is it like a graduation? Stephenie: The last day of shooting was great. We were in St. Thomas. Wyck: We finished the entire series of movies in St. Thomas, on a beach, when dawn broke. We were shooting that midnight swim. Stephenie: It came at a really great time, there were just a few of us. We got to hang out - it was a beautiful way to end a movie - all movies should end in St. Thomas. Stephenie: Kristen was a great parent. She would go to Bill and tell him how she should be parenting Mackenzie (renesmee). Rob was the easy going dad, him and Mackenzie were always having a laugh about something. It was all very natural, all very sweet. Everyone wanted to hang out and bond with her. I think she made it easy to love her. Q: When I spoke to Wyck at the Breaking Dawn premiere you said you may be working with Rob on something. An update on that? Wyck: Let's stay on Twilight.. I think we're all looking to work with these people. @jtyboone: "The mother bear was who she was... Rob was the easy going dad. It's really, really sweet." Meyer on Rob and Kristen as parents in #BD2. Htfix: 11:04 a.m. Is there any downside to being a vampire in this universe? Meyer says that Edward doesn't think he deserves happiness and he's seen examples of new vampire not being happy with it and he wonders if he's now a villain by definition. "For him, he's a very cautious person and becoming a vampire is forever," she says of Edward. Meyer says that's the drawback for her now, because permanence is scare. "Vampirism for me was a way to live in fantasy," she says of the metaphor. "Superpowers with a cost," she says. 11:06 a.m. The last day of shooting was in St. Thomas. They hung out on the island after shooting completed. "There were just a few of us and we all got to hang out," Meyer says, adding, "All movies should end in St. Thomas." 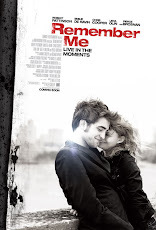 11:08 a.m. For people who had never been parents, they were impressive," Meyer says of Kristen Stewart and Robert Pattinson. "She was such a protective, all-consuming mother," Meyer says of K-Stew's approach, while she praises Robert for being funny and playful with Mackenzie. "She was very easy to love," Meyer adds. 11:10 a.m. Godfrey doesn't want to talk about future projects, but he's always looking for other opportunities with the cast. Hypable: Q: What does a TwiHard get out of the entire book and movie series? M: In some ways I've had a peculiar position with the films. I've come in and out of them, I'm not like Rob and Kristen. I've kind of came in and out, so I can still have a sense of what's inside and what's outside. Also, the younger fans don't recognize me because I look different than my character. Until some parent goes... "see that guy over there? He's in Twilight." Then their kids attack. When you come to the last chapter of the series, Bill has done a respectable job of serving the fans. especially for the people who feel like they've been with Bella, gone through with her journey. Bill has been very sensitive to that. I think Bella's journey is one of.. a lot of people can relate to it even though it's in the world of vampires. Bella's journey is one that people can vicariously go through it. M: We shot the battle.. I thought we were going to be outside and cold. When I was in the costume department, I made sure my costume was made of layers and cloaks and really heavy things. And then I turn up to film.. and it's all CG and green screen, so I was boiling for weeks and weeks. We were on this snowy set. Team Aro was at one end, and Team Cullens were at the other. We were miles away from each other, so we couldn't even talk to each other on set. And we had to stand around for ages.. some had nothing to do but stnad. Then on the last day of filming the battle scene, there was this huge dance that happened. The Cullen Team had choreographed this big dance, I think it was "Sweet Dreams Were Made Of This" It may be on the DVD. Hitfix: "It was no frills and I loved that," Condon says of the movie. He adds, though, that "set containment" has become a big line in the budget. "It was always the spirit of this film that it is a fantastical story, but it is an intimate one too," he says.